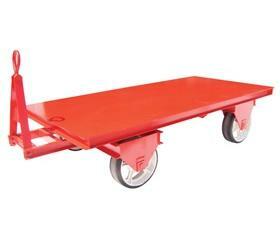 Heavy-duty 5th Wheel Steer Wagon Truck comes available with all wood or steel deck. 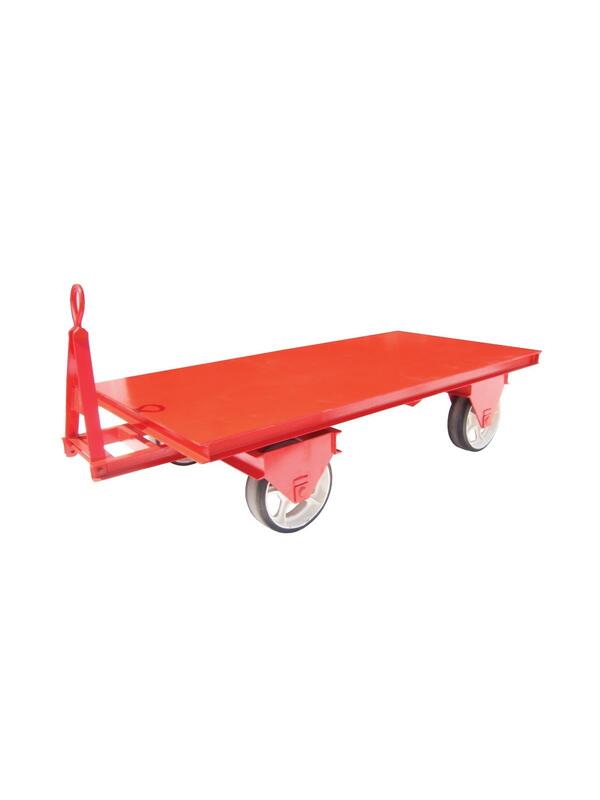 Standard steel colors available in Blue, Red, Green or Orange. Other Colors available -- Please contact us. 15 x 8 x 11-1/4" press-on rubber or poly wheels with tapered wheel bearings. 4" ring-grip tongue. Other capacities, sizes, coupler type and steering options available -- please contact us. FOB Shipping Point.